At Sturken Auto Body Auto & RV Repair, we service and maintain all types of cars, trucks, SUVs, off-road vehicles, and RVs to help you keep your vehicle running smoothly and reliably. Our highly trained and experienced technicians offer complete service and repairs including oil changes, tune-ups and all types of general maintenance for all types of vehicles. Keeping your vehicle in the best running condition requires regular maintenance and careful inspection. It's important to be able to trust your repair shop to treat your vehicle right. To keep your vehicle in top running condition, bring your van, truck, RV or car to Sturken Auto Body - Auto & RV Repair. 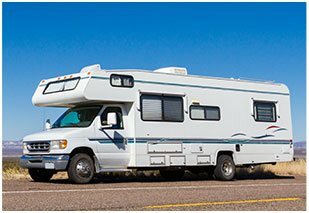 Offering full services on automobiles and RVs, Sturken Auto Body - Auto & RV Repair has been serving drivers in Cupertino, Milpitas, San Jose, Saratoga, Fremont, Santa Clara, Gilroy and Morgan Hill for decades. We are members of the local Bureau of Automotive Repair (BAR) and the fine organizations listed below. You can be sure we'll be here to back up our work. 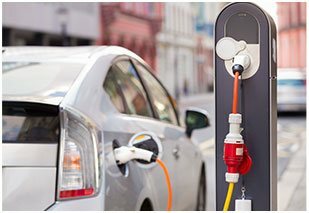 Sturken Auto Repair specializes in servicing and repairing hybrid and electric cars. We are the place for your Toyota Prius and Hybrid repair in San Jose. In business for over 55 years, our services have evolved along with the auto industry. Sturken's has invested heavily in advanced education to be able to serve all of your automotive, hybrid, electric or EV repair and service needs. "This is the third time I've taken my car down here and I couldn't been any happier with such a professional staff that provide care and honesty. There's aren't too many of them around but I will definitely recommend them to my friends and co-workers. Michael you're the greatest when it comes to taking care of your customers. If given I would rate it 10 stars. Keep up the good work!!!"